Here's a guide on how to complete all Spec Op 2 Captain America: Civil War tasks. Refer below if you need help on how to complete certain tasks like how to unlock the Epic Boss Iron Man or Captain America. Mastering Spec Op 2 will reward you a 2-Stars Falcon if you chose Captain America's Side, or a 2-Stars Winter Soldier if you chose Iron Man's Side. Good luck and have fun! - You must claim the reward first before starting a new task. - New paths will unlock as you go. - If you are using Spec Op Energy (Conflicted Directives), you can also farm them through Ally Team Ups (Chapter 1 Normal Missions using 6 Energy), or by completing Daily Tasks. - Once you are done with either side, you can only replay the other side if you have a Spec Op Archive Key, (yup, can be purchased for $10.00). Don't worry though because Spec Op 2 will become permanently accessible once you claim the Mastery Reward Hero. - So for new players, pick the hero you like to get first, or better pick a side that will enable you to use your best team at the moment. - Defeat 10 Hydra soldiers in Spec Op 2. - How To Complete: After defeating Mini Boss Falcon, go and claim your task reward to activate the next task. - Complete a deploy in Spec Op 2. - How To Complete: Try to complete the 1st Deploy Mission, then claim task reward before the Mini Boss War Machine fight. - Defeat War Machine in Spec Op 2, Mission 1. - Defeat Winter Soldier in Spec Op 2, Mission 1. - Choose a side in the civil war by starting Spec Op 2, Mission 02. - How To Complete: Choose your side, then fully review the list of restricted heroes. - Defeat 10 S.H.I.E.L.D. Agents in Spec Op 2. - How To Complete: Complete the 1st stage (S.H.I.E.L.D.). If you need more, exit Mission 2, go and start Spec Op 2 Mission 1 to restart Mission 2. Go back and rejoin Captain America, then defeat the 1st stage (S.H.I.E.L.D.) again. Claim task reward after this, then proceed on the next task. - Defeat 4 opposition Heroes in Spec Op 2. - How To Complete: Defeat Mini Boss Black Widow and Mini Boss Hank Pym. Next, restart Mission 2 and defeat both Mini Bosses again to complete the this task. - Apply Tactical debuffs to Winter Soldier in Spec Op 2 [4 Times]. - How To Complete: Check Heroes that can do Tactical debuffs here: Tactical Debuffs List. Any will do, just spam 4 times. Ex: If you have Black Widow, just spam her Tactical ability, or use heroes with Clobbered debuff like Iron Fist, Black Widow and more. - Defeat Captain Marvel in Spec Op 2 Mission 2. - Complete 3 Deploys in Spec Op 2. - How To Complete: Rerun Mission 2. Just complete 2 Deploy Missions then proceed to Mission 1 to complete the 3rd one after beating Mini Boss Falcon. This will set you up for the next task. - How To Complete: If you have access to Spec Op 1, you can also complete deploy missions there to save Spec Op 2 energy. Example: Follow the path leading to Epic Boss Yellowjacket. Just complete 2 Deploy Missions then proceed to Mission 1 to complete the 3rd one. - Defeat Tiger Shark in Spec Op 2 Mission 1. - How To Complete: After completing the task above, choose the Hydra path instead of Mini Boss War Machine. - Apply 5 Mental debuffs to enemies in Wakanda (Mission 3). - How To Complete: Check Heroes that can do Mental debuffs here: Mental Debuffs List. Use any Mental debuffs to enemies including Mini Boss Black Panther. - Use Blunt attacks against opposition heroes in Spec Ops 2 [10 Times]. 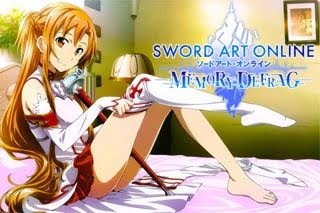 - How To Complete: Check the abilities of your core heroes and equip any ability with Blunt attack type tag. Example: If you have Wasp, use her Fly Swatter. Now, continue, but only use Blunt attacks to Mini Boss heroes (Vision and Black Widow), enemies doesn't count. - Try to complete this task before you reach Boss Iron Man in Mission 3. - Defeat Iron Man in Spec Op 2, Mission 3. - How To Complete: Use an ability with Shield Breaker to easily remove Iron Man's shields. Example: Wasp's Bioenergy Blast. If one of your allies gets the Touch of Death debuff, you can remove it by using Iron Fist's Healing Lotus for example. - Defeat 12 opposition Heroes in Spec Op 2. - How To Complete: First, go to Mission 2 and follow this path: S1: (S.H.I.E.L.D. ); S2 (Mini Boss Black Widow); S3 (Mini Boss Thor); then go on until you can get 4/12 Opposition Heroes. This will also unlock Epic Boss Iron Man in Mission 3. - Next, exit Mission 2 and enter Mission 3. Follow the Epic Boss Iron Man path and defeat all 4 Mini Bosses, giving you a total of 7/12 Opposition Heroes (Tiger Shark doesn't count). The Epic Boss Iron Man stage has 6 Opposition Heroes but you only need 5, so defeat all except Iron Man. - The trick here is to purposely let your team lose against Iron Man. Choose the "Give up" option for now to collect your task reward, setting things up for the final show down! - Defeat Epic Boss Iron Man's team in Spec Op 2, Mission 3. - How To Complete: If you followed my advice above, just re-enter the Epic Boss Iron Man stage. - Defeat 10 S.H.I.E.L.D. agents in Spec Op 2, Mission 2. - How To Complete: After the first fight, restart the Mission and replay the first stage to complete this task. - How To Complete: After defeating Sharon Carter, restart the Mission and defeat her 3 more times. - Apply Mental Debuffs to Iron Man Armors in Spec Op 2, Mission 2 [10 Times]. - How To Complete: Check Heroes that can do Mental debuffs here: Mental Debuffs List. - Defeat Wasp or Spider-Woman in Spec Op 2, Mission 2. - Defeat Winter Soldier in Spec Op 2, Mission 2. - How To Complete: If you have access to Spec Op 1, you can also complete deploy missions there to save Spec Op 2 energy. Another method is to complete the 1st Deploy Mission in Mission 2, then re-run Mission until complete. - How To Complete: He is the alternate Boss of Mission 1, follow the new path that leads to him. - Apply Physical debuffs to enemies in Wakanda (Spec Op 2, Mission 3) [5 Times]. - How To Complete: Check Heroes that can do Physical debuffs here: Physical Debuffs List. - Use Sharp attacks on opposition Heroes in Spec Op 2, Mission 3 [10 Times]. - How To Complete: Some of the common heroes are: Gamora, Black Panther, Moon Knight, and more. Only use Sharp attacks to Mini Boss heroes, lesser enemies doesn't count. - Defeat Captain America in Spec Op 2, Mission 3. - How To Complete: You will be given 2 choices for fighting Captain America, either with Winter Soldier, or Iron Man. Note that to complete this task, you must select Iron Man. - Defeat 12 opposition Heroes in Spec Ops 2. 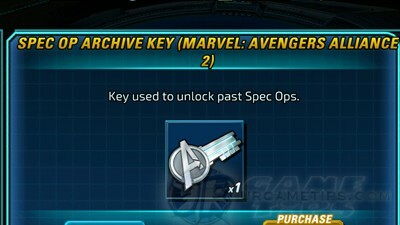 - How To Complete: First, take this chance to unlock Epic Boss Captain America. 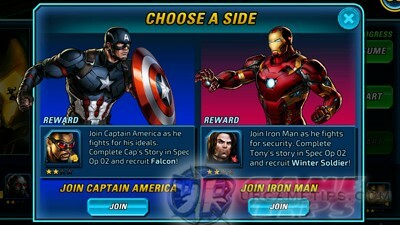 - Replay Mission 3 but this time choose Winter Soldier when you are given those same 2 choices for fighting Captain America. - Next, go to Mission 2 and follow the path that leads to Mini Boss Hulk. Defeat him in order to unlock Epic Boss Captain America. 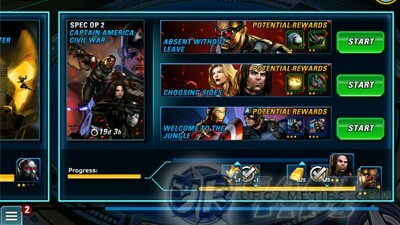 - Defeat Epic Boss Captain America's team in Spec Op 2, Mission 3. - How To Complete: If you followed my advice above then just continue to Mission 3. - After beating Mini Boss Hulk in the second fight, choose the Hydra team next instead of Spider Woman. - Mini Boss Daredevil's holo table pin is somewhat hidden, so just spin the holo table to access it. - Reminder: In order to fight Epic Boss Captain America, Do not fight Mini Boss Falcon.